Few symbols embody American pride, freedom, and power more than the bald eagle and Statue of Liberty. The Founding Fathers chose the bald eagle as an official emblem in 1792. The Statue of Liberty has stood tall in New York Harbor for more than 130 years, serving as a beacon for freedom to millions of immigrants coming to America. You can now purchase a 2012-S 1 oz Silver American Eagle Coin from Silver.com with a PR70 grade from the Professional Coin Grading Service. Minted by the United States Mint at the San Francisco facility. Carries a $1 face value backed by the US government. Ships in an PCGS slab. Graded a perfect PR70 by the PCGS. Comes in an Reverse Proof edition. 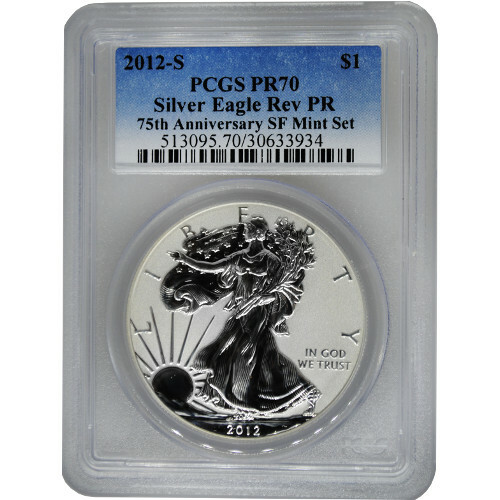 These 2012-S 1 oz Silver American Eagle Coins have a PR70 grade from the PCGS. A PR70 grade means the coins were perfectly struck at the Mint. 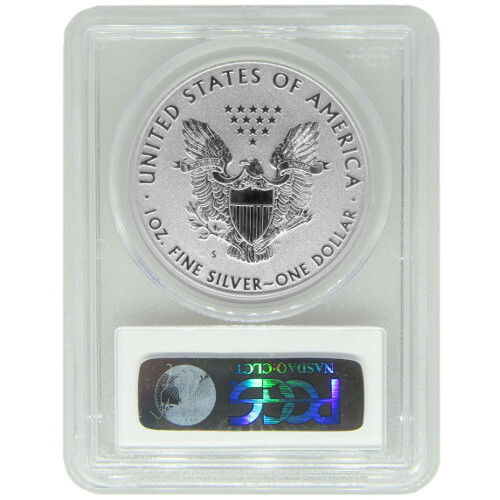 As a reverse proof coin, these Silver Eagles have a strong, frosted finish in the background field and a deeply mirrored, clear finish on the design. The “S” mint mark identifies these coins as a product of the San Francisco Mint. The Silver American Eagle is the official silver bullion coin of the United States and has been minted each year since congress authorized the program in 1985. Adolph A. Weinman’s Walking Liberty design is featured on the coin’s obverse. 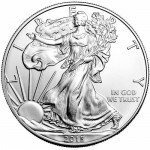 The design was first used on Walking Liberty Half Dollars in the early 1900s. John Mercanti, the US Mint’s chief engraver, created the heraldic eagle on the reverse specifically for the coin in 1986. The reverse features the heraldic eagle. The eagle is depicted behind a shield, clutching arrows and an olive branch in its talons. Thirteen stars over its head represent America’s original colonies. Engravings include “United States of America,” “1 Oz Fine Silver ~ One Dollar” and the “S” mint mark. 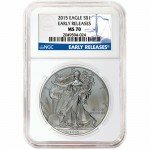 When you have questions about any Silver.com products including these 2012-S Reverse Proof Silver American Eagles PCGS PR70 , we encourage you to reach out to our associates on the phone at 888-989-7223. Our representatives are also available to help you online using our live web chat feature.